This year’s edition of Abu Dhabi Sustainability Week (ADSW) will explore how digitalisation and innovative technologies are converging to provide new solutions to drive economic growth and sustainable development. It is vital for the global community to commit to working together to address the challenges of climate change and accelerate sustainable development, UAE ministers and senior business leaders were quoted as saying by state news agency Wam ahead of ADSW. The event - one of the world’s largest sustainability gatherings - takes place in the UAE capital, Abu Dhabi, from January 12 -19, and explores major social, economic and environmental trends impacting the sector, under the theme, ‘Industry Convergence: Accelerating Sustainable Development’. Speaking at the press conference to launch the landmark event, Dr Thani bin Ahmed Al Zeyoudi, Minister of Climate Change and Environment, said: "Every year at ADSW, the UAE joins forces with the rest of the world to accelerate the pace of sustainable development. Platforms such as this one enable the country to keep pace with the increased global uptake for innovative climate technologies, and lead the way to a cleaner and better tomorrow." "This year, the Ministry of Climate Change and Environment is proud to present the second edition of the Climate Innovation Exchange initiative that facilitates seamless sourcing, funding and monetisation of pioneering climate solutions," he added. Al Zeyoudi noted, "We are working in accordance with the directives of the wise leadership and the UAE Vision 2021 and its national agenda, which emphasis its commitment to the agenda of sustainability, which we have made a fundamental goal we seek to achieve." In turn, Adnan Z Amin, director-general of the International Renewable Energy Agency (Irena) said, "Abu Dhabi Sustainability Week is one of the world’s preeminent gatherings of policy, industry and academic leaders that aims to identify a common pathway to a more equitable, low-carbon and sustainable economic future." "The Assembly, Irena’s ultimate decision-making body that brings together 180 countries, takes place each year at ADSW – a reflection of its significance as a leading global platform for policy dialogue and a catalyst for action," he noted. To align more closely with the UAE Vision 2021 and the United Nations’ Sustainable Development Goals, the event has widened its scope beyond renewable energy. ADSW 2019 will address global sustainability challenges and opportunities on the six pillars of Energy and Climate Change, Water, Future Mobility, Space, Biotechnology and Tech for Good. The topics of Youth and Digitalisation will inform each of these pillars and the programmes running throughout ADSW. ADSW’s anchor event, World Future Energy Summit, WFES, will feature more than 850 exhibiting companies from 40 countries. As part of WFES, the inaugural Future Summit is being held on 15th-16th January, bringing together leaders from government, the non-profit community, institutional investors and the private sector to debate accelerating the transition to a sustainable society. For his part, Mohammad Juma Al Falasi, Under-Secretary of the Department of Energy in Abu Dhabi, said, "Sustainability is one of the main pillars of our strategy aimed at optimising the contribution of our natural resources to the energy supply in the UAE. We are keen to enhance the level of integration among all stakeholders, and ensure that we have the right strategy and regulations in place to minimise the consumption of oil & gas, and to benefit from renewable sources, particularly solar." 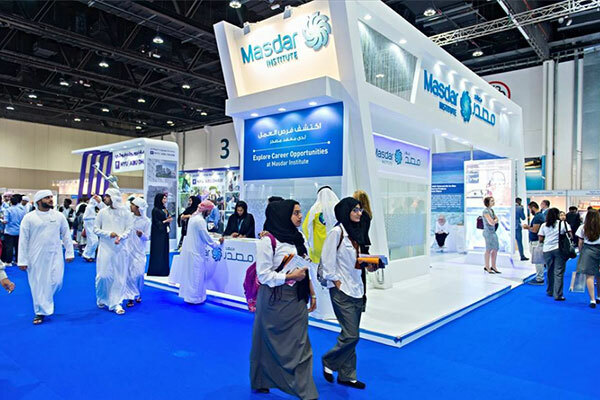 Commenting on Masdar’s role as host of ADSW and the event’s expanded mandate, Mohamed Jameel Al Ramahi, CEO of Masdar, said, "At Masdar, we regard investing in renewable energy and sustainable real estate as good business. Hosting ADSW, on the other hand, is our proud duty to the UAE. It is a collaborative effort and a platform for multilateral dialogue." A new addition this year is the inaugural Abu Dhabi Sustainable Finance Forum, which is designed to focus on increasing the adoption of sustainable financing and directing capital towards activities with positive economic, social and environmental impacts. Richard Teng, CEO of Financial Services Regulatory Authority, Abu Dhabi Global Market, ADGM, said, "Abu Dhabi Global Market is pleased to host and curate the inaugural Abu Dhabi Sustainable Finance Forum as part of the eminent Abu Dhabi Sustainability Week. As a leading international financial centre, ADGM recognises the importance of driving sustainable financing and investments and working with key local and international stakeholders to facilitate initiatives that deliver long-term benefits for the well-being of society and the economy.